Well it is that time of year again.. Time to make the best laid plans. I know but a big change. 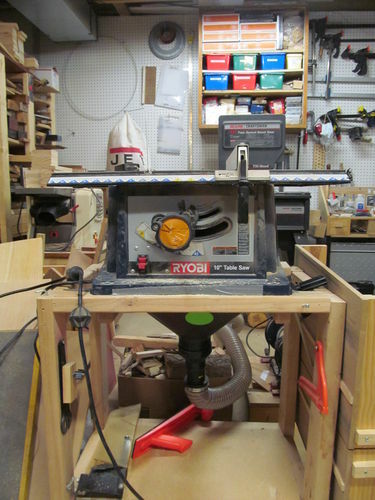 I broke down my temporary table and cleaned off my table saw. 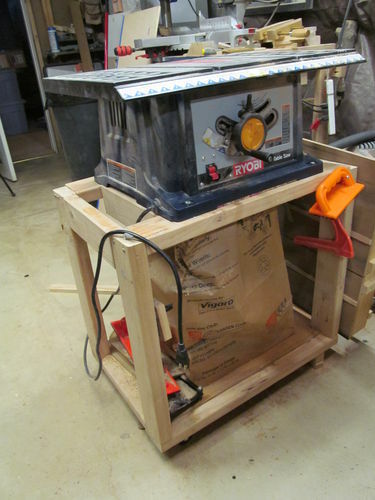 Which mostly had the stuff I bought at yesterday’s Woodworking Show, The great news there is not only did I put almost everything away that I bought but I also made a change to my table saw. I had been using a bag underneath for dust collection which generally worked well except when the bag got a little too full and then it would start pulling the dust out of it. I bought a Big Gulp Dust Hood at the show yesterday and installed it so I can connect my DC. A big goal for me this year is to get better control of the dust. 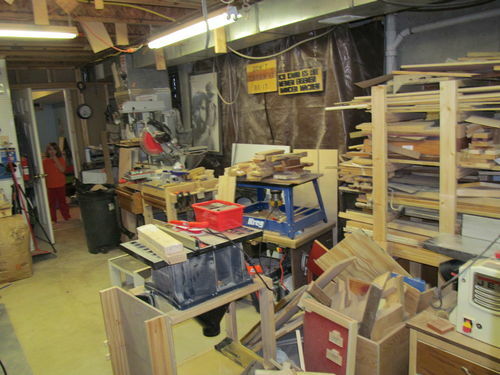 I was also inspired by Steve Ramsey's latest video on organizing his shop. So I posted a few extra items that were literally collecting dust in my shop. As well as some of the extra tools that I received from my Grandfather. I have a number of projects I want to work on over the next 2 months before I start back in on Craft Fair items. Portable Pastimes did well for us this year and we are looking forward to next year. 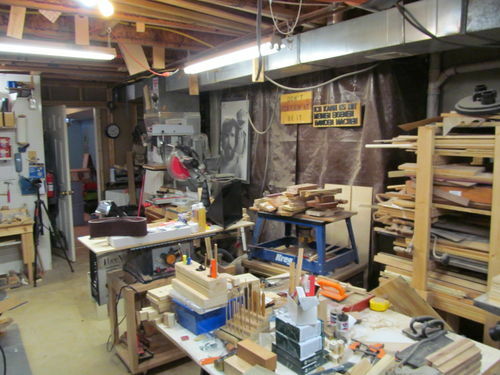 But hoping to get things a little more organized int he shop and also the office. I will plan right now to enter a few blogs in order to keep myself moving forward. Thanks all for looking and reading. Shop cleaning and organizing is a good thing. Mine is still a work in progress. Good to see organization in a shop. Always a great progress to have things where they should be. Of course the hardest thing is to keep it up. Let me know how well the big gulp works. Does it also keep a lot of dust off the top of the saw? Dave, I only did a few quick cuts so far and it has certainly seems to have reduced the amount coming out of it. I will be doing more cutting later this week hopefully and we will see how it does. Main thing I have to remember is to turn the DC on. Part of my reorg is to get it a little more centrally located so that I can use ot for a number of tools easily. A never ending chore for sure. It’s always wise to clean up every now n then. It’s seems to be safer.